Located at the corner of 22nd & Spruce Streets, the buildings support community by providing a place for spiritual growth, opportunities to help the needy, arts, culture, and enrichment. The buildings we share offer the neighborhood a space to grow, serve, celebrate, and learn. Trinity Memorial Episcopal Church (TMC) has served as a house of worship and community resource for more than 125 years. A progressive congregation welcomes all who seek a place of spiritual growth to serve God and the community. Feasts and festivals are joyful celebrations of abundant blessings. Scripture and every-day intersect, weaving lessons of the Gospel into explorations of how to lead spiritually centered lives in our increasingly complex world. Worship in community is offered at 10:30 am on Sundays. Childcare and faith exploration are held mornings during the service for children of all ages. The first Sunday of each month is Youth Sunday, during which all children are invited to read or act out scriptures, greet at the door, serve the Table, and illustrate biblical lessons in all aspects of worship life. Awaken your spirit with the website Mosaic page where you may Encounter God through a mosaic of poetry and other wisdom readings. Whether live or online, Trinity is a place where you can meet in community. Community OutReach Partnership (CORP): Throughout the church’s history, worship and bible study have gone hand-in-hand with a dedication to community service. 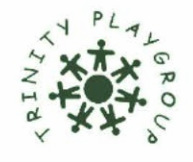 In order to fulfill this mission, in 1985, Trinity Memorial founded CORP as a collaborative, non-denominational organization that connects people who care with volunteer programs that provide direct help to those among us who are homeless, hungry, elderly, lonely, or needy, without regard to race, gender, or religion. It seeks to aid those who are most vulnerable in ways that are practical by offering clearly defined opportunities for compassionate action. CORP seeks to call attention to the common humanity of helpers and those who need help, and to break the barriers that separate one human being from another. Its main programs are WinterShelter, a homeless shelter in the basement of the Parish Hall; Communicare, which matches volunteers with the frail elderly; Cook-Off, which prepares two hundred meals every month for the needy; and Sustainable 19103 / Grid Alive events that encourage sustainable practices in our community. Trinity Center for Urban Life (TCUL) is a secular nonprofit organization that helps support the historic buildings of Trinity Memorial Church. TCUL creates a center for the people of the community and responds to their needs by providing cultural events, educational opportunities, and neighborhood services. TCUL manages the buildings for the use of organizations offering community support and public or private performances. The rooms, including the beautiful Great Hall, rebuilt after a catastrophic fire in 1994, can be rented for gatherings of all sorts, from large parties to intimate recitals. Fully moveable seating means that the space can be configured and decorated for many different events. Concerts, receptions, weddings, meetings, workshops, conferences, and celebrations occupy these gracious buildings.